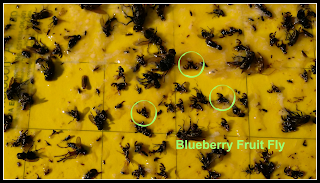 Just wanted to remind everyone, that it is that time of year to get your traps out in the field and begin monitoring for blueberry maggot fly. 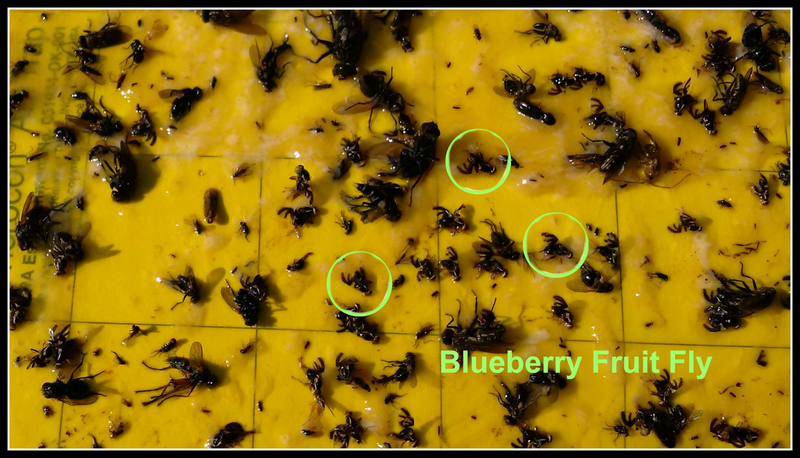 The above picture shows the flies on the yellow sticky traps. We have had very high numbers the last couple of years, so it is important to keep a close eye on the populations in your fields and treat when required. The WBPANS office in Debert has lots of traps, so contact Janet at 662-3306 if you needs some traps. The pest control guide is linked below and there are multiple products registered for use to control this pest, but remember check with your processor or buyer to see what is allowable for their markets. Just because a product is registered in Canada, doesn't mean it is allowable in some of our foreign markets.